The new low cost, single idler modular belt weighers from PreciaMolena are now available in Australia through Ultra-Dynamics Pty Ltd .
Ultra-Dynamics Pty Ltd announced the release of the MBW low cost single idler beltscales as a fully qualified partner of PreciaMolena. The new, low cost, single idler modular belt weighers incorporate the technical expertise gained by PreciaMolena from 60+ years of design and supply of beltscales. 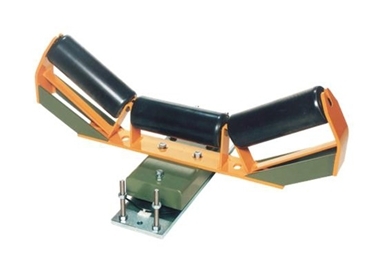 The novel design of the MBW allows the incorporation of the existing conveyor idler set, enabling a straightforward installation while also providing significant reduction in overall system cost. Typical operational precision of this system will be 1% for a correctly installed application.